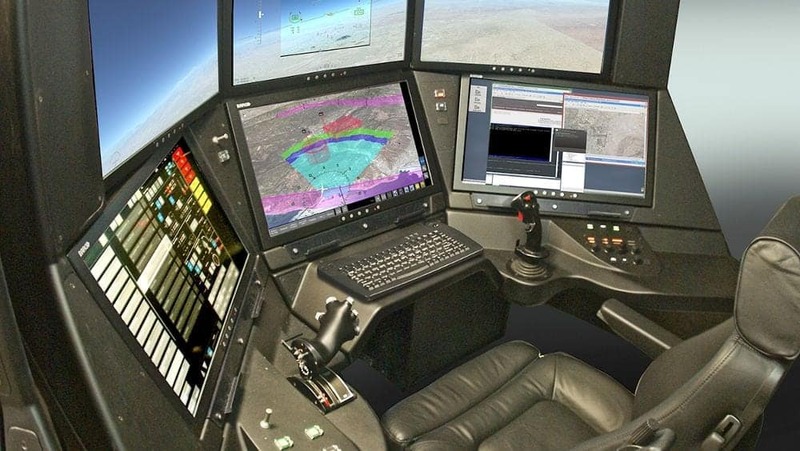 General Atomics Aeronautical Systems, Inc. (GA-ASI) has announced that a “Certifiable” (STANAG 4671-compliant) Ground Control Station (C-GCS) was used for the first time to fly a Remotely Piloted Aircraft (RPA). The flight originated from Yuma, Arizona and flew GA-ASI’s MQ-9B SkyGuardian unmanned aircraft. Aircraft flight critical functions were tested successfully, including hold modes, landing gear, flap operation, and “hand flying” of the aircraft. The C-GCS includes the same flight management system, cockpit displays, and navigation guidance as those found on modern corporate and commercial aircraft. The C-GCS also enables weapons and payload control for SkyGuardian. The ground station’s hardware and software architecture provides separation of flight and mission critical functions. This allows mission software to be modified without affecting flight critical software. The mission Human Machine Interface (HMI) is designed to provide situational awareness on a single tactical situation display. Avionics associated with the flight management system, including traffic collision avoidance, are certified under FAA Technical Standard Orders (TSO). The upcoming test schedule for the C-GCS includes full launch and recovery, HMI enhancements, mission critical functions, and SATCOM datalink testing.